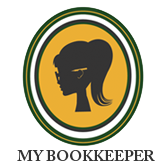 My Bookkeeper is an outsourced bookkeeping practice that helps businesses of all sizes keep their finances in order. Outsourcing to a trusted, professional bookkeeper means an end to the expensive and tiresome hiring, training, and retraining process that comes with staff turnover. But using an outside source doesn’t mean you’ll be on the outside of your finances—with monthly reporting, annual meetings, and phone and email access, we’ll give you a clear financial picture, so you can make smart decisions and keep your business moving forward. Through services such as payroll reconciliation, tax filing, and financial reporting, My Bookkeeper’s mission is to help business owners maximize their efficiency by becoming a partner in financial management. Kim MacIver is the go-to for all things bookkeeping. Having received a Bachelor of Science degree in finance with a minor in accounting from the University of Baltimore, she knows tax preparation and accounting inside and out. After taking some time to raise a family, Kim started working for a public accounting firm in January 2012. 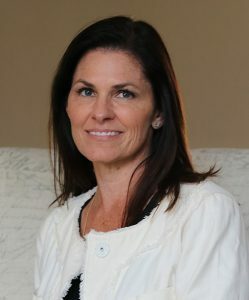 Working in the small business accounting division, she quickly realized how much she enjoyed connecting with business owners and helping them manage their books. In 2013, Kim decided to go out on her own and start an outsourced bookkeeping practice; My Bookkeeper was born out of her passion for helping small businesses thrive. She is QuickBooks certified in both desktop and online and is a QuickBooks ProAdvisor. Kim runs My Bookkeeper with three core values in mind with every client: honesty, integrity, and diligence. When Kim isn’t working to help small businesses get things done, she is spending time with her two children, Kelly and Grant. Find out how My Bookkeeper can get your business running seamlessly.